I was fortunate to spend my youth growing up in the emerald embrace of New Zealand... a far-flung Isle with a South Pacific lilt; one whose natural beauty is incomparable to any other country I'd seen before, nor seen since. Our small home used to back on to a national forest... a vast viridian thicket of curling 'punga' palms and countless towering pine trees. On summer days I would venture out with my friends and get lost in it's green. We would throw fallen pine needles scooped by the armful from the forest floor at one another; traipse through shallow creeks looking for eels, harvest hardened pine-sap nuggets from damaged tree trunks, and collect abandoned cicada husks in screw-top glass jars. All around us, the scent of the forest... damp soil, rotting leaf litter, fresh oxygen and the resinous green of pine. We would stay out well into the early evening until after the sun had gone, returning home only when the orchestral chirrup of the cicadas had ended for the day. Now - some 35 years later - the smell of pine or the song of cicadas will take me straight back there. They are memories I cherish of carefree times, and I feel a life-long affinity with these two things. Cicadas and pine. Imagine my delight then, when I recently discovered N-Cigale, perfumers of Marseille who honour both with their exquisite olfactory creations. Whilst regarded in many cultures as an insect of royalty, wealth and good fortune, cicadas have become a recurring theme in 'modern' perfumery over the past hundred years; their decorative form reproduced many times in flacons and boxes, particularly during the Art Nouveau age. Roger et Gallet and Molinard have arguably two of the most exquisite interpretations, the former rendered by Rene Lalique. Now, almost one century later, renowned decorative artist/sculptor Patrick Veillet has re-rendered the cicada for a modern age. Gone are the Arts and Crafts ornamental flourishes... instead, Veillet has conjured a stripped-back geometric interpretation that communicates all that is required with just a few lines. 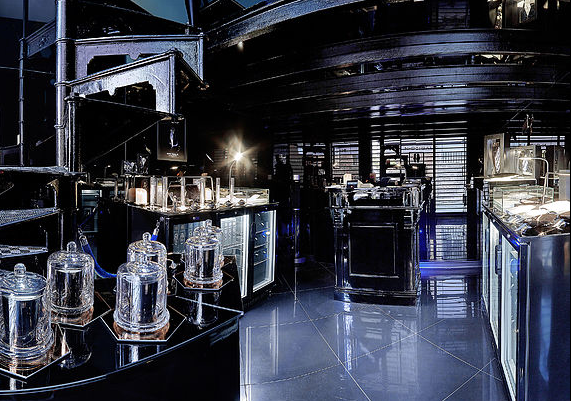 Veillet's illustrious career has seen him working with the world's biggest names in fashion and accessories, and he is credited with designing some of the world's most recognisable and beautiful perfume bottles - editions for Thierry Mugler, Gaultier, Chloe, and Alexander McQueen amongst others.... his wealth of experience has finally culminated in the realisation of his own perfume house N-Cigale, of which he stands firmly at the helm. 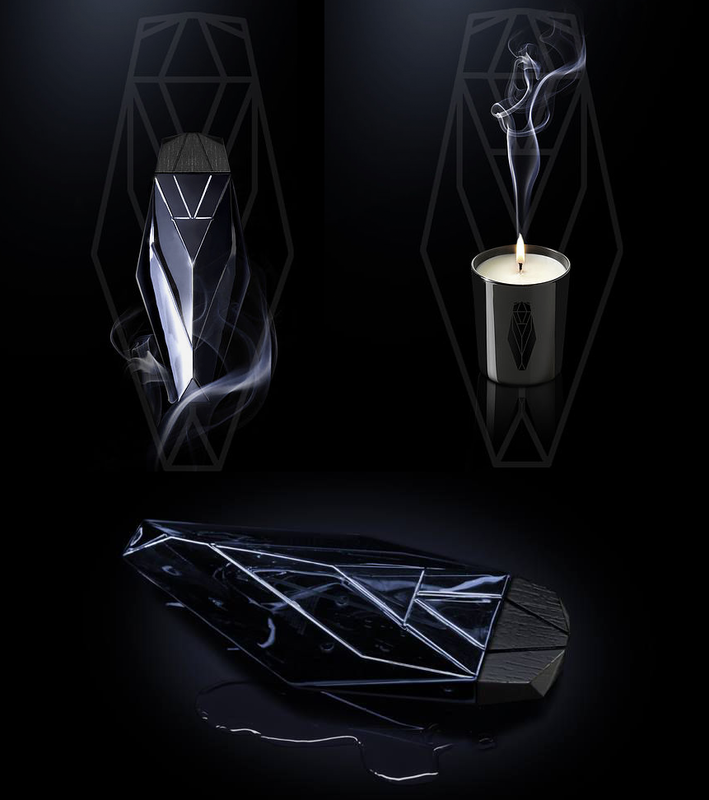 N-Cigale is super chic, edgy and breaking new ground in design, perfumery and the decorative arts. 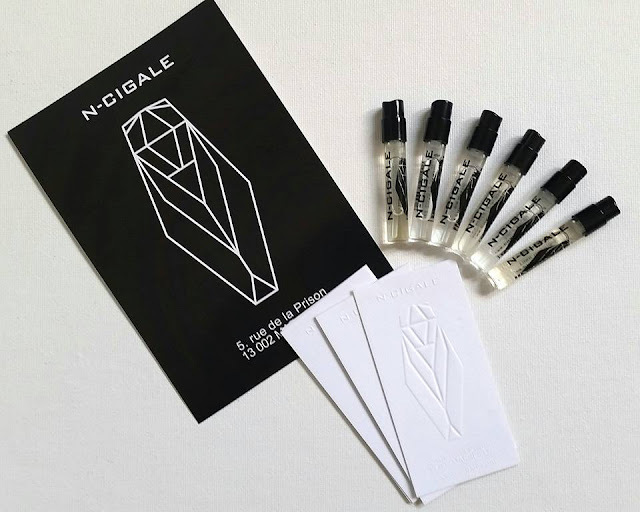 To date, N-Cigale's approach to their perfume has been to explore 3 ingredients: fig, pine and lavender - but to elevate them to a whole new space. Frankly, what they have managed to achieve - in my eyes - is nothing short of spectacular. Three notes, each rendered two contradictory ways - one follows a lively, vibrant trajectory, and the other, a darker, unexpected one. These scents are packaged in exquisite lacquered shiny glass cicada flacons - each tinted with a different hue, and each with a stained ash wood cap. 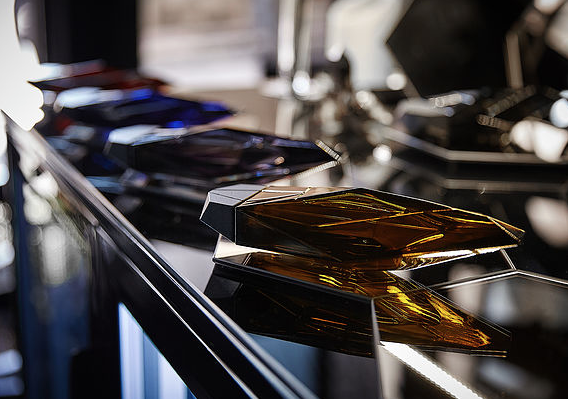 And, if these objets d'art weren't desirable enough, the perfumes they hold are truly inspired. Below, a brief reflection on each fragrance in the N-Cigale collection. The sharp (almost citrus) ecclesiastical perfume of resinous incense stones burnt in swinging censers... a whitewashed Greek church perched high on a pine and cypress-covered hill overlooking a sea of endless blue. A Mediterranean zephyr and the haunting wail of wind in the needles. Austere, yet summery - a sense of solar warmth and dappled shadows under the canopy of a majestic pine. Pin Mystique (Mystical Pine) is a bracing yet comforting olfactory journey - a sense of familiarity and timeless tradition. A fascinating study whose opening is resolutely citrus and camphor... it veers into a darker orbit with an underlying ribbon of precious woods, violet and husky iris, the sum of which evokes a sense of dwindling light at the end of the day. It is the hour just after sunset where the sky is a sweeping palette of pastel hues that run through the pink/purple/blue spectrum. The perfume of resinous pine remains as the evening wind picks up and sweeps the warmth of the afternoon off into the Aegean. The mosquitoes are out and its time to retreat indoors for a shot of masticha or feijoa vodka. Pin des Calques (Pine of the Creeks) feels devoutly nocturnal. Brimming with a sense of broad, open spaces, Figue Fresh is a diaphanous interpretation of fig that feels somewhat weightless and ethereal. It floats under a sky quilted with clouds that are pregnant with rain. A sense of ozonic wetness and impending lightning. Static in your hair. This is a fig whose sun-soaked warmth is dwindling after a sudden drop in temperature. There's moisture in the air, and only minutes before the deluge begins. An oriental reverie - the perfume of the Syrian souks at sunset - perfumed wooden boxes, sugared rose petals, tanned animal skins, sweet figs steeped in honeyed syrup, and the glint of hammered copper. Figure Orientale (Oriental Fig) - to my nose - has a slight Middle Eastern slant, reminiscent of the beautiful perfume oils one comes upon when wandering the medinas and bazaars. A darker, more mysterious exploration of fig. A nostalgic glance back to a Golden Era - sequinned dresses and fringed hemlines, velvet smoking jackets and black shoes with a mirror-like shine... sheikhs and flappers dancing with abandon in the decorated jazz halls of the Art Deco age. This aromatic lavender is imbued with the smell of heavy mahogany furniture, face powder, floral corsages and a light film of sweat. A genderless, celebratory nod to times past where stuffy airs and graces were abandoned in favour of daring personal indulgences. Brisk and chilly, Lavande Velours (Velvet Lavender) evokes thoughts of crisp linen tablecloths on tables overlooking the Santorini Caldera... cloudy glasses of ouzo tinkling with ice sipped generously at nightfall. Whilst ever-present, the lavender here is blanched and crisp... almost unrecognisable under a freshly-ironed mantle of green anisic aromats and creamy tonka. The smell of clean skin, rubbed with light natural oils after a cold dip in the Aegean. Light, vivifying and cold. 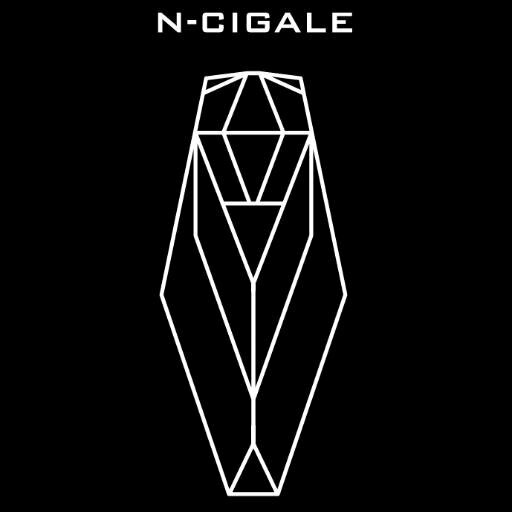 N-Cigale is a welcome addition to a world rife with niche perfume houses and artisanal producers. Their beautiful boutique in Marseille is testament to Veillet's keen design sensibilities, and their vitrines are immaculately stocked with beauteous flacons, and cicada-shaped porcelain and jewellery. You can also find them via their website at www.n-cigale.com or on Facebook and Instagram. Whilst I'm reluctant to let go of these wonderful samples, I would like to offer them to another reader so that they too might experience N-Cigale. (I am sure with time, that I shall be purchasing full bottles of those scents that have moved me the most)! All six samples have been lightly tested. To win, just leave a comment in the comments field below, telling me which of the N-Cigale scents intrigues you the most. One winner will be drawn at random on Friday January 29th, and their name published here!